Our Kindergarten teachers meet with each family individually before school starts to determine where to begin with each child. 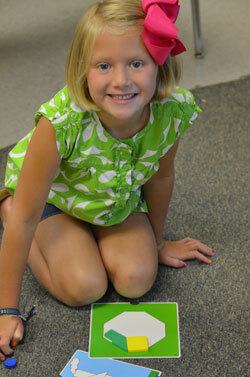 The curriculum is based on Kindergarten Common Core Standards. Children participate in academic work in the mornings followed by special classes in the afternoon. They enjoy Spanish, physical education, chapel and music as well as visits to the computer lab and the church library. The goal for Kindergarten is for each child to be confident in his/her learning. Janet has been at Aldersgate since 2005, teaching Ones, K4 and K5. She has a Bachelor’s degree in Special Education from Converse College. She and her husband Alan have 3 children: Jacob, Matthew and Madeleine. Lynda was born and raised in Greenville, SC and has lived here her entire life, except for the four years that she moved to Rock Hill, SC to attend Winthrop University. She received her BS degree in Elementary Education. After graduating, Lynda married Anthony, her husband of 25 years. They have 2 daughters, Anna and Elizabeth. 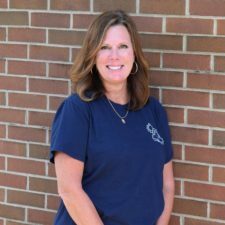 Lynda taught full time for the Greenville County School district for 15 years, but since her daughters have been born she has been acting as a substitute teacher at schools in the area. Lynda is very excited to be back in the classroom everyday with us here at Aldersgate. 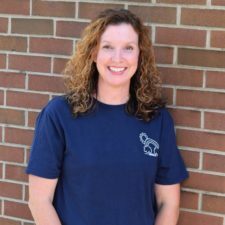 Amy received an undergraduate degree in Industrial Engineering from Clemson University. Along with her husband Chip, she has 3 children who all attended the CDC – Mary Elizabeth (20), Sarah (17) and Will (15). 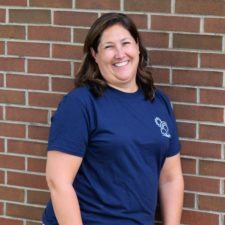 Amy was the Music teacher & K5 Aide at Aldersgate for 10 years, left to get her MAT, came back as an Aide in the Ones class, then left to teach middle school math & science for 4 years. We are thrilled that she’s back at the CDC this year!! Stefanie is originally from Columbia, SC but has called Greer home for 12 years. Along with her husband Adam, she has 3 children who have all attended Aldersgate – Peyton (9), Mason (7) & Quinn (2). Stefanie graduated from Columbia College with a degree in Biology and taught Science for 11 years. 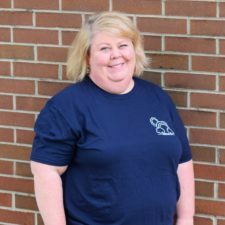 After staying home with her children for a few years, she is excited to start a new adventure at Aldersgate.